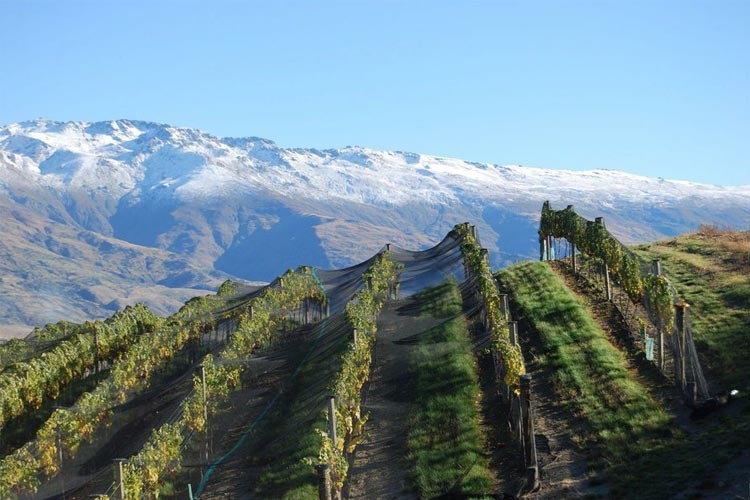 “Misha’s Vineyard, named one of the Top 20 New Zealand Wine Producers by the esteemed Decanter magazine (UK), is located on one of the most spectacular sites in New Zealand at the edge of Lake Dunstan in the Bendigo sub-region of Central Otago. The sun drenched north-west facing terraces of the 57 hectare estate provide the optimal conditions for producing world-class Pinot Noir and a range of aromatic white varieties including Pinot Gris, Riesling, Sauvignon Blanc and Gewürztraminer. Owners, Andy and Misha Wilkinson, established the vineyard with a ‘no compromise’ philosophy requiring an exacting viticulture regime, hand-picking, and considerate winemaking methodologies. From the outset the wines have been crafted by renowned winemaker Olly Masters and they consistently receive outstanding accolades from across the world with several wines from Misha’s Vineyard range exhibited in London in February at the Robert Parker/Wine Advocate “Icon Wines of the World’ event. The wines from Misha’s Vineyard are predominantly sold in five-star hotels and leading restaurants in over 20 countries around the world”. This very special evening will feature a five-course degustation menu designed and prepared by Eichardt’s Executive Chef, Will Eaglesfield. Each of the five courses has been expertly matched with one of MIsha’s s fabulous wines. Seats are priced at $100 per person which includes all food (five courses) and wines for the evening (six in total). Seats are strictly limited and will again sell out quickly. To secure your seats simply call or email and we will make your reservation for the evening.